A connection series especially designed for sand filtration (194130504B). Professional system that guarantees that all the water is being filtered. 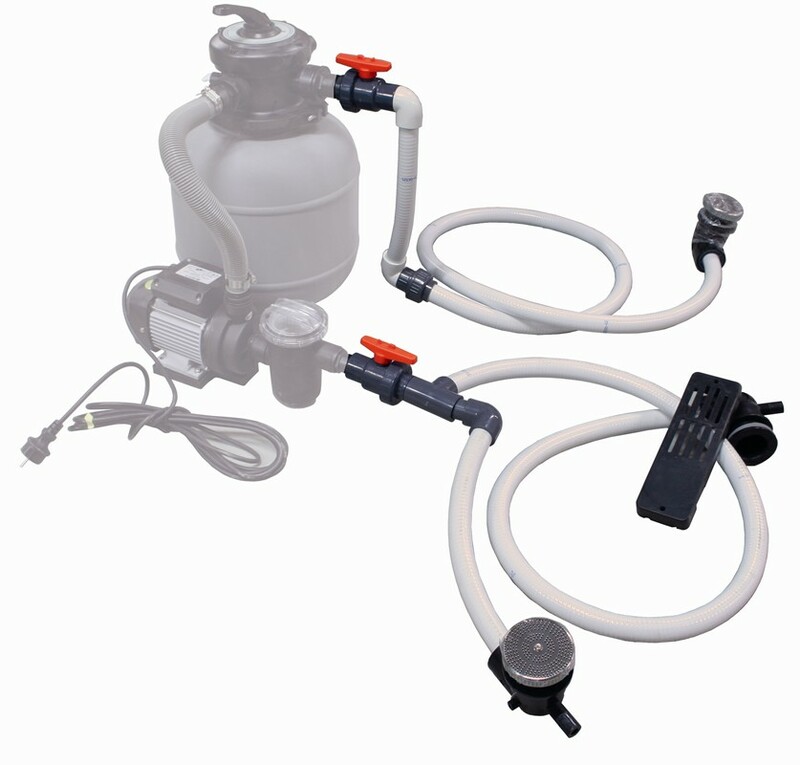 With a connection hose to the base suction and return water with stainless steel grid top, surface cleaner, holes, vents.